As she researched her book, The Bold Dry Garden, it dawned on Sunset’s garden editor Johanna Silver that plant collectors are not necessarily gardeners, and vice-versa. The subject, Ruth Bancroft, is both gardener and collector—as is Brian Kemble, the curator of the Ruth Bancroft Garden in Walnut Creek, CA. 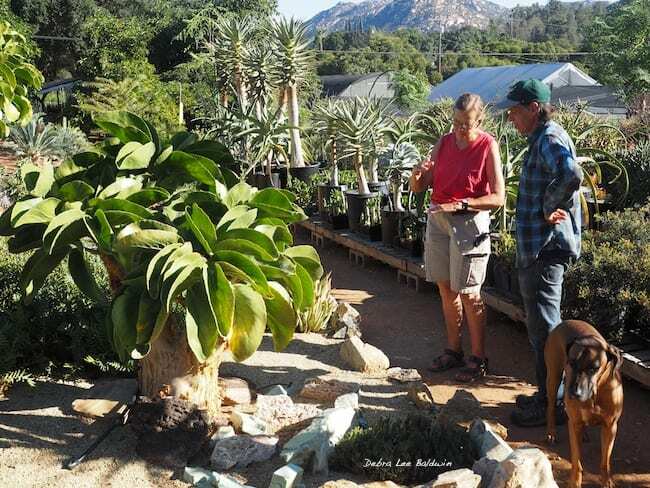 Since 1980, Brian has helped Ruth (now age 108) orchestrate an inviting, 3.5-acre showcase of unusual succulents and low-water companion plants. Earlier we had been at Johanna’s and Brian’s joint presentation at the San Diego Horticultural Society, during which Brian had observed, “When you see a plant in habitat, it’s like looking into its soul.” No wonder that speakers at Cactus and Succulent Society meetings show photos of little-known genera in arid, rocky terrains accessible only by hiking or horseback. Brian, in fact, had just returned from his sixth or seventh South African plant-hunting expedition. It makes sense that to cultivate any plant perfectly, one needs to be aware of the conditions in which it grows wild. But although I’m thrilled every time I see a succulent I haven’t seen before, I don’t necessarily want it. So I replied to Johanna’s question: “No, I’m not a collector.” She nodded. We may love plants and gardening in all their multifaceted aspects, but we lack the collector’s gene. While he was in town, I escorted Brian to several San Diego garden destinations, and observed this gentle, quiet man come to life with an explosive “Oh, my God!” at Petra Crist’s Rare Succulents nursery when he saw some of her specimen plants. Invariably, he and Petra verbally revisited the wilds of Socotra, the Great Karoo, or Madagascar as they discussed a plant’s unique characteristics. Petra Crist and Brian Kemble discuss a cyphostemma, a lumpy-trunked succulent tree from Madagascar. Johanna said she’d like to go on a plant-hunting expedition. Not me. Too dangerous. (On his recent trip, Brian sustained an injury that left him hobbling for several days.) However, I do understand the appeal. It must be similar to a photographer’s quest for the perfect shot, my genealogist friend’s desire to track down every ancestor, or the adrenaline rush I sometimes get when shopping at high-end second-hand stores. How Ruth acquired, successfully cultivated, and combined her plant collection into a great garden—despite such setbacks as killing frosts—is described with wit and clarity by Johanna; fact-checked by Brian; and photographed brilliantly by Marion Brenner, who pursued and captured the garden’s soul. BOOK GIVEAWAY: To enter to win a copy of The Bold Dry Garden, simply leave a comment below stating why you’d like to have it. Johanna or our mutual publisher, Timber Press, will pick the winner on Tuesday, Nov. 1. I’ll announce the winner here and contact him or her to obtain a mailing address. So there you have it…I’ll contact Renata and Timber Press will send her a copy of the book! 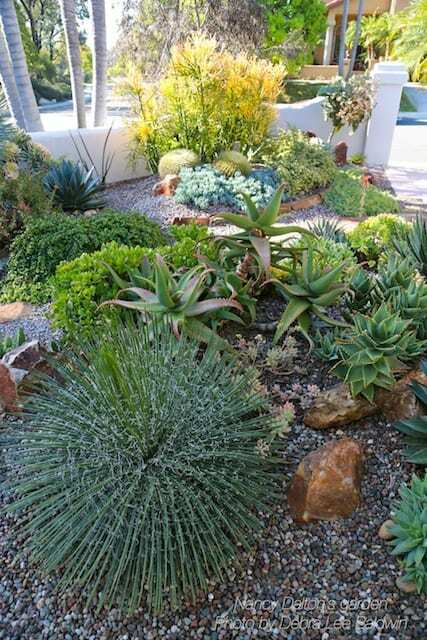 https://debraleebaldwin.com/wp-content/uploads/2016/10/Bold-dry-garden-.png 648 676 Debra http://debraleebaldwin.com/wp-content/uploads/2015/04/Logo-White-H200px.png Debra2016-10-13 19:56:522016-11-01 09:30:00Are You a Plant Collector, Gardener or Both?